Yes, if you can see I make sure that I'll be able to captured from the day we bought it up to the time that My Tulip blooms. 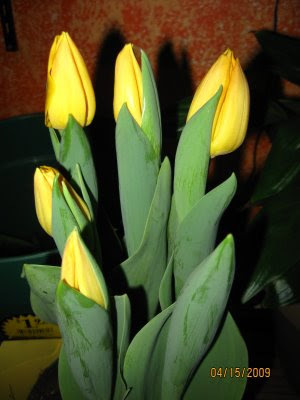 I never have a flower before, but since my Bana loves plants and flowers a lot, he bought me a Tulip, one of the flowers/ plants he bought for me. You did hear me right, not only that Tulip but he bought me something else too. I'll show you the other plant/flower on my next entry. Just love the blooming of my Tulip that's why I want to share so you could also see the beauty of the flower. aww, ganda naman yan sis! sana meron dina ko ng ganyan dito kaso sa mga cold climates lang sila mas nagbubloom. lovely sis! 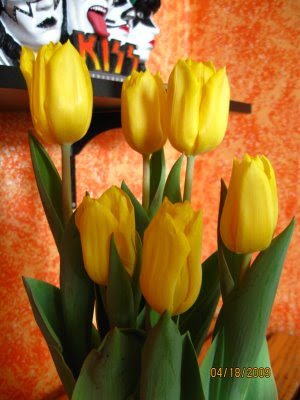 love tulips though i haven't seen a real one but i know how lovely they are kahit sa picture lang. hopefully i'll have tulips on my next wedding. LOL. wow, those are beautiful flowers. tulips are in bloom now i saw a lot of them in New york. I'm also fascinated by flowers and clouds I put a lot of them on my site..they are so peaceful those tulips are just beautiful. Thanks for advertising on our site grammology. Hi Novah! The tulips are beautiful. Looking forward to seeing what else he bought you! ka mga pretty sa mga tulips oi. I love love love tulips! 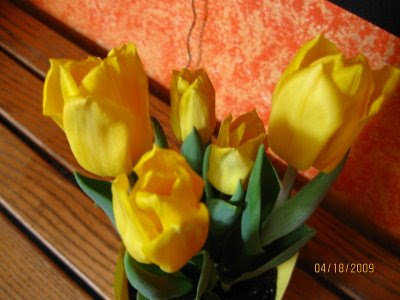 I love tulips too like that yellow ones. 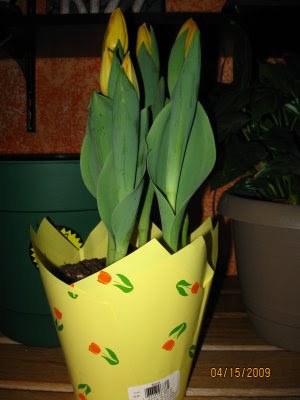 Also featured it on one of my articles on the Tulip Day when my hubby brought me one. Happy blogging! Congrats ate.ako di ko agad nakita yung face sa coffeebeans hehehe. galing galing.